Following the success of last year’s campaign, LEGO® DUPLO® has launched the second Tiny Film Festival to celebrate the imaginative stories of children under the age of five. The Tiny Film Festival invites parents to bring their little one’s imagination to life through story telling. LEGO DUPLO is looking for four tiny directors with awesome stories to tell and is asking parents to submit their pre-schoolers scripts to www.facebook.com/LEGODUPLO To prevent ‘writers block’, the facebook page will feature last year’s Tiny Films, to provide inspiration and get young creative juices flowing. LEGO DUPLO also provides themes to help with ideas, from adventures at your local garage, to the Arctic and even outta space! 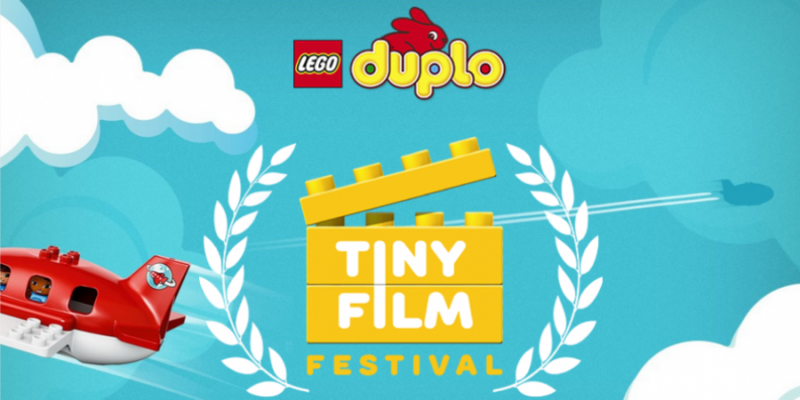 The LEGO DUPLO Tiny Film Festival runs until the 26th May. Every few weeks LEGO DUPLO will select one child’s story to be stop motion animated by Disney using LEGO DUPLO bricks and sets and turned into a 15 second short film. Winners will be announced via the LEGO DUPLO Facebook page with each winning film having their own custom movie poster in the style of a typical blockbuster. The films themselves will also include a graphic intro and outro sequence, crediting family members of the tiny director’s choice, again to parody real blockbuster cinema releases – in tiny style of course. The four winners and their families will be invited to attend a special wrap party at a central London location in June where they will receive movie-star treatment and attend an exclusive screening of the winning films. LEGO DUPLO is the ideal introduction to the world of building. Designed or small hands and big imaginations building with these bricks stimulates creativity, encourages role play and conversation, and helps develop motor skills in pre-school boys and girls. With LEGO DUPLO, imagination can take you anywhere.